I just spent 45 minutes in the post office, packing up then lining up to ship my gifts off. They say it’s the busiest post office day of the year. It figures I’d choose it. And that I completely missed the warning reports. Ha. It was with great relief and a smile of accomplishment that I got back into the car. But it got me thinking about why my gift shipping philosophy changed this year. For years I would order gifts online and have them shipped directly (generally for free) to my family and friends. But after a few years of this I was disappointed with the “gift wrap” option and the lackluster package that landed on a doorstep and I found that I actually missed the wrapping and the gift tag writing. I missed that extra bit of holiday cheer I got to share by personally wrapping and sending my gift. So this year I spent an extra $65 just to ship the gifts. Kind of ridiculous but it seemed important. And I don’t regret it. I do, however, appreciate those small businesses that take care in making the packages they ship out, especially around the holidays, extra pretty. We do it for every hide & cheek order. Other companies do too, of course. 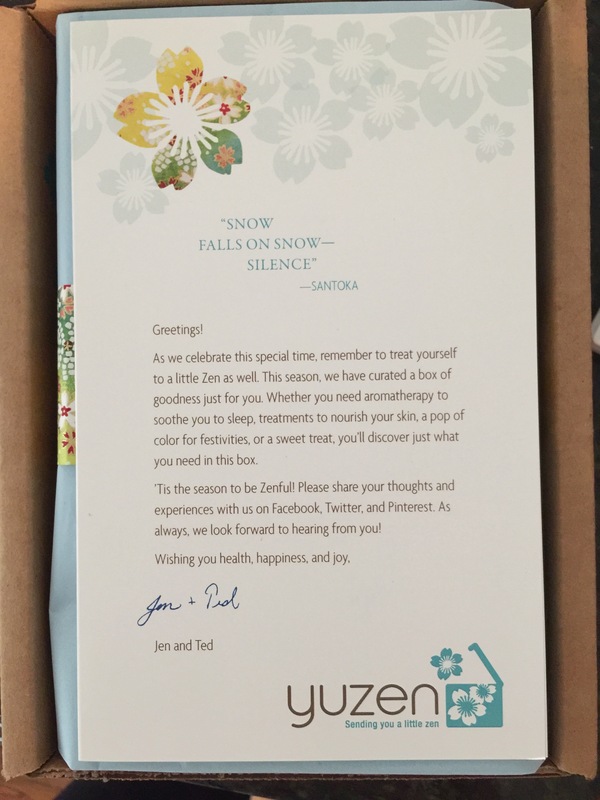 And last week I was struck by just how beautifully Yuzen Box does it for their packages. 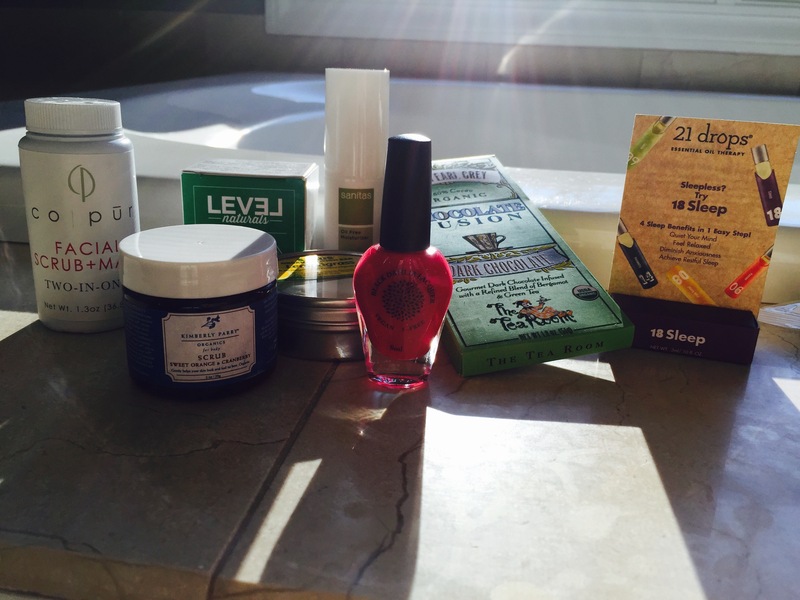 Part of this subscription box company’s philosophy is to make everything beautiful, including the way you feel as you sample their array of LOHAS products. I used the aromatherapy sleep drops the first night I got them and just showered with the shower bomb yesterday. The chocolates were, of course, sampled right away. You can give a one-time gift box or a monthly subscription and either way you can rest with reassurance that it will be consciously curated and perfectly packaged. And that they will deliver smiles to whomever you choose, without the added and dreaded post office line. Happy gifting this season. It is what it’s about after all. Remember the greatest gift of all – our savior – by giving thoughtful, reflective and love filled gifts to those who mean so much to us.